Escherichia coli ("E. Coli"): The "Hamburger Disease"
Escherichia coli, or "E. coli" as it's more commonly known, is a type of bacteria that can cause a particularly severe, and sometimes deadly, form of food poisoning in humans. Sometimes referred to as "hamburger disease" because it can be transmitted through undercooked ground beef, E. coli has also caused outbreaks of food poisoning linked to raw produce like spinach and sprouts. E. coli bacteria are easily eradicated through ordinary cooking. The common factor with E. coli transmission is that the contaminated food is either not cooked all the way, as in the case with ground beef, or it's something that isn't cooked at all, such as raw vegetables. Where is E. Coli Found? E. coli (sometimes also referred to as E. coli O157:H7) is found in the intestinal tracts of some mammals, such as cattle, and also in raw milk, and unchlorinated water. How is E. Coli Transmitted? E. coli bacteria can be transmitted through consumption of contaminated water, raw milk, raw or rare ground beef, as well as unpasteurized apple juice or cider, uncooked fruits and vegetables. It can also be passed from person to person through improper hygiene. In the case of beef, E. coli bacteria from the intestine of the cattle can contaminate the meat during slaughter. With steaks this is not a big issue as the bacteria stay on the surface and are killed when the steak is cooked. 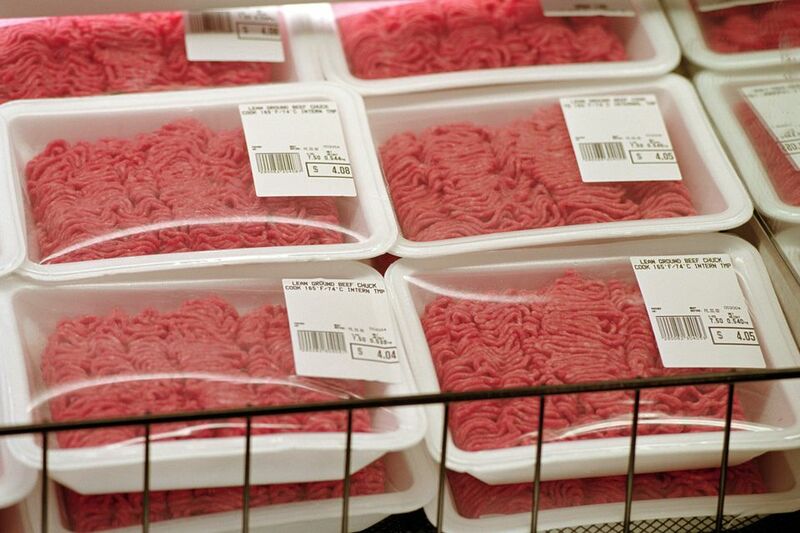 But when the contaminated meat is ground up for making burgers, the E. coli bacteria are distributed throughout the meat, and if it isn't cooked all the way through (i.e., well done), it can cause illness. E. coli bacteria cause an illness called E. coli enteritis, in which the small intestine becomes inflamed. Symptoms include diarrhea (which can be watery or bloody), abdominal cramps, pain, nausea, and sometimes a mild fever. These symptoms can begin two to five days after the contaminated food is eaten, lasting a week or more. Some patients, especially the very young, can develop kidney failure. You can read more here about food poisoning symptoms. How Can I Avoid E. Coli? E. coli bacteria can survive in the refrigerator and freezer, and it can multiply rapidly in the refrigerator, making it particularly difficult to manage. E. coli will also survive in highly acidic environments, which is also unusual for most food-borne pathogens. They are killed by cooking, however, so the best prevention against E. coli is to heat foods to 160 F or hotter for at least 30 seconds. That means burgers should not be served rare. In the case of other foods, it's important to rinse fruits and vegetables that won't be cooked, such as lettuce and sprouts, under running water. Avoid drinking unpasteurized milks and juices. And of course, use good personal hygiene and food handling practices. Wash your hands after handling pets, using the bathroom or changing diapers.